The Melamchi Water Supply Project (WSP) is to take one more year to complete, thanks to the unexpected departure of the CMC, the Italian contractor of the project. Entire work of headwork construction, tunnel finishing and some minor works like fitting the ventilation shaft, hydro-mechanical gates and monitoring equipment is yet to be done. As per the estimates of the Melamchi Water Supply Development Board (MWSDB) – the implementing agency of the water transmission part of the project, it will take about nine months to construct the headwork which means it will take about a year to supply the water of Melamchi river to Kathmandu households. By now about 95 per cent physical works of the project has completed, said the authorities. It will take a couple of weeks to settle the case with the CMC and probably a couple of months in tendering the remaining works and the delay in the commencement of the construction of diversion way in the Melamchi River means additional disturbance due to flood in the rainy season. Three governments in a row in the past had promised to complete the national pride project within a year and bring the fresh water to the valley but the project continued to lag despite multiple directions from the Water Supply Ministry, Development Committee of the Parliament and prime ministers. 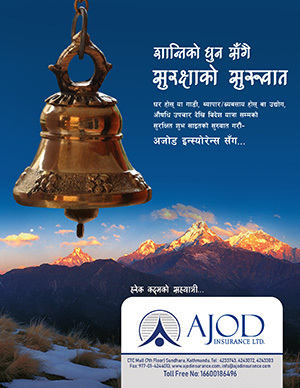 The Asian Development Bank (ADB) funded project was commenced in 2002 and was supposed to be completed in five years. “CMC suddenly left the work and fled from the country and has not returned or communicated with the project though the latter has published a public notice warning that the contract would be terminated if the contractor failed to communicate with the MWSP,” Executive Director of the MWSDB Surya Raj Kandel said at a meeting of the Development and Technology Committee of the Parliament on Monday. Although the project consultant Engineer eptisa BETs JV has recommended contract termination as the contractor has left the site without any information and the board had issued the ‘Notice to Contract Termination’ against the CMC last week, the MWSP has to wait till February 6 because as per the existing law, the contractor has 14-day to contact board if it wanted to continue the project construction. In case of its return, the contractor will have the responsibilities back. “However, the contractor is out of communication since 15 December 2018. We are unknown of the reasons behind the contractor’s inability to work further though we have been informed unofficially that the company has filed an insolvency case at a court in Italy,” said Kandel. Kandel said that it would cost about Rs. 2.90 billion of which Rs. 1.30 billion would need for the construction of head-works and about Rs. 800 million for tunnel finishing. 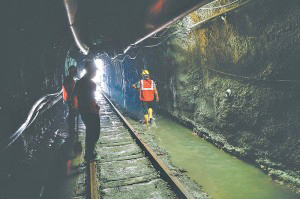 Melamchi Board said that if the regular procurement process was applied it would take at least 2 to 3 years to complete the project which might create damage in the completed works. Meanwhile, lawmakers suggested the government should intervene in the project development and the water should be brought to Kathmandu by the end of the current fiscal year. The DTC has directed the Ministry of Water Supply to apply the ‘Extraordinary Situation’ measures in the Public Procurement Act and create a plan to complete the project at the earliest if the CMC fails to communicate with the project by February 6. It also directed the Prime Minister’s Office to ensure that the work moves smoothly ahead as per the ‘Extraordinary Situation’ according to the MoWS prepared action plan.